President Trump has "no intention" of releasing his tax returns, Treasury Secretary Steven Mnuchin said Wednesday. "The president has released plenty of information, and I think has given more financial disclosure than anybody else," Mnuchin said during a press conference at the White House. "I think the American population has plenty of information." Mnuchin was asked about the president's taxes while he unveiled the administration's tax proposal. The plan would slash individual tax rates, while also cutting the top tax rate for all businesses to 15% from 39.6%. Fuller details about the proposals are still unclear, and it's not certain how Trump's own taxes would be affected. Trump's tax proposal is also likely to meet skepticism on Capitol Hill. Trump's decision to not release his returns has lingered, as a candidate and now while in office. He's the first president in four decades to not share his tax information publicly while in office. Before he launched his presidential campaign, Trump said he would "absolutely" produce the returns if he ran for office. But his position later shifted. 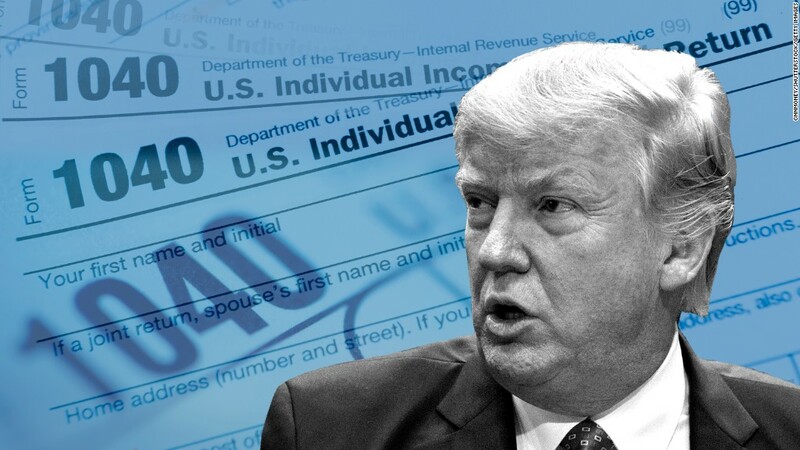 He and his administration have said ongoing IRS audits prevent him from releasing his returns, even though audits wouldn't carry that restriction. Trump, as president, will be audited while he is in office. The audit claim was cited as recently as last week. "It's the same thing that was discussed during the campaign trail -- the president is under audit. It's a routine one that continues," said White House Press Secretary Sean Spicer on April 17. "Nothing has changed."